Pearl Harbor, one of the unique things to see on Oahu. When vacationing in Hawaii, the hustle and bustle of city streets and crowded shops might not be appealing to some. For those wanting something different, we have 5 unique experiences on Oahu that will give you unforgettable memories. If you would rather wander off the beaten path, then you will love this scenic hike. Adventuring through thick vegetation and wildlife, your journey will end at a tall waterfall, Manoa Falls. This hidden trail even was featured in the film Jurassic Park. It offers some of the most beautiful views and landscapes on the island. The hike is 2 miles and takes about 4 hours to complete. Pick-ups are at 8:00 am or 2:00 pm from any Waikiki hotel. They say sometimes the best way to deal with fears is to face them. If you are afraid of sharks, then perhaps it is time to live a little on the wild side. Departing from Haleiwa Harbor on the North Shore, daring visitors sail three miles out into ocean. You’ll anchor at 400 feet deep. Here, the area is teaming with curious sharks. From within an underwater cage, you can view sharks only inches from your face. You can sometimes see 30 sharks in one tour. The good news is seeing a shark is guaranteed. They are so confident in your experience, that if you don’t see a shark, you don’t have to pay. But when you do see one up close, it is an exhilarating experience that will leave your heart pounding. Tours departs at 6:30 am, 8:30 am and 10:30 am, 7 days a week from Haleiwa Small Boat Harbor. You can also get transportation from Waikiki Hotels for an additional fee. 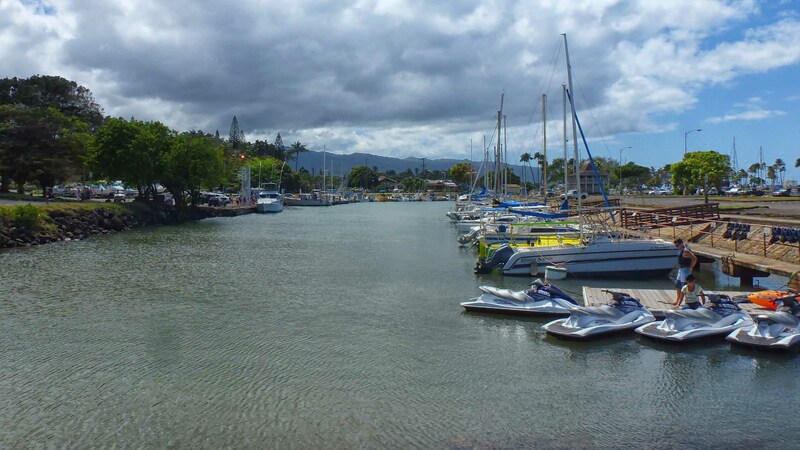 Haleiwa Small Boat Harbor, where you can embark on one of the most unique experiences on Oahu. Oahu’s Morning Dolphin Cruise and Snorkeling excursion takes you out on an early morning ride at 6:30 am. Here, you can see anything from dolphins, sea turtles or whales, depending on the season. Then experience an hour-long snorkel before boarding the boat for a delicious hot buffet lunch as you cruise back. It is the only experience that will take you up the entire Waianae Coast. If you want a more up-close encounter, Sea Life Park Hawaii-Dolphin Royal Swim allows you to swim with dolphins. You can even ride on them as they powerfully pull you through the water. Either way, you’ll enjoy your day with smiles and laughter. 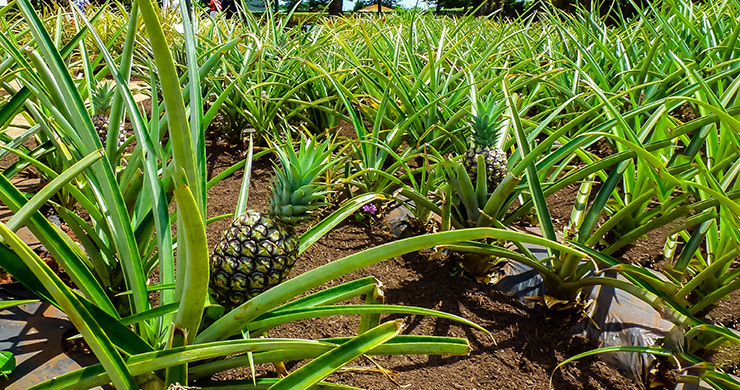 Fresh pineapples growing on Oahu. On Oahu, there are so many memorials, historical sites, beautiful destinations that one feels remiss not visiting them. If you only have a few days, then maybe a quick “see-it-all-at-once” tour is just for you. Fortunately, Oahu offers numerous of these types of tour packages. 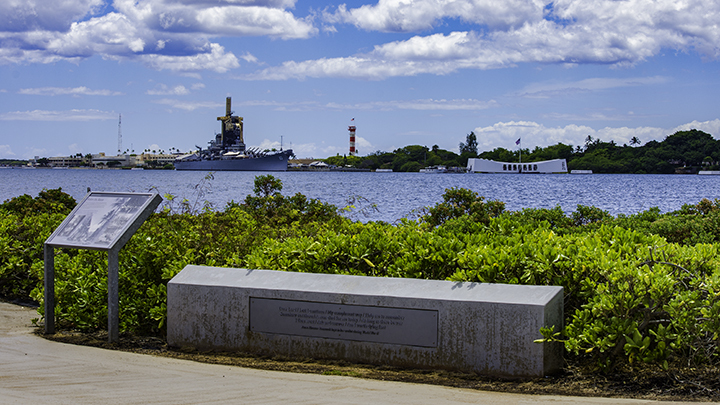 The Circle Island Tour with Pearl Harbor is one of them. It takes you to Pearl Harbor, a pineapple farm, film locations, historic towns, famous beaches and look-outs all in one day. This could be one of the most exciting technologies for real thrill-seeking vacationers. Jet Pack pumps water through a hose that propels you up to 30 feet in the air. Wearing life vest and helmet, fliers first learn how to steer and control to ensure a safe flight. Walk on water, soar over the ocean or splash down into the waves, all powered and steered on water jets. This might be one of the most unique experiences on Oahu that you can try. And it might be must-do for the adrenaline-junkies visiting Oahu.